It's possible. After two weeks of the temperature reaching 80 degrees or higher, our warm streak could be ending for a short time when we flip the calendar page over to August. A cool front Friday afternoon will set up shop across the Midwest and Great Lakes into the weekend. As it wobbles back and forth throughout the Illinois, periodic rain chances will be in place through Monday night. After that, a second and stronger front will move through Tuesday followed by high pressure Wednesday and Thursday. It's with that high that temperatures may only reach the upper 70's for highs. Something we haven't felt since July 16th. The 8-14 day outlook from the Climate Prediction Center holds on to the idea that the cooler weather could be sticking around for the first couple of weeks of August. It's finally feeling like summer in the Stateline with multiple back to back warm days. In total so far we have had 13 days at or above 80°, today makes 14, with a total of 20 days possible looking into the 7 -day forecast as well. But how long has it been since we've seen a warm stretch like this? Well we have to look back almost exactly 2 years to July of 2013 where we saw 20 days in a row of 80° temperatures or above. July 4th-23rd in 2013 is where we saw the warm stretch, this year the warm days started the 17th and looks to continue through the beginning of August. By midweek next week temperatures take a dip close to 80° and we could fall below 80 degrees; so we will see if we can beat the heat from 2013! It will feel much more comfortable Thursday morning than it did Wednesday morning. And that's because the humidity will be lower. Throughout the day Wednesday, you may have noticed a difference in the comfort level from morning to afternoon. Yes, it was still warm today but it wasn't as humid. That's because our dew point temperatures fell into the low 50's by 11am. The drier air could also set the stage for some outlying areas Wednesday night to drop into the upper 50's! And tonight might not be the only night when the mercury could fall. Friday night and next Tuesday night could be chilly as well. Time to Fire up the Sprinklers! 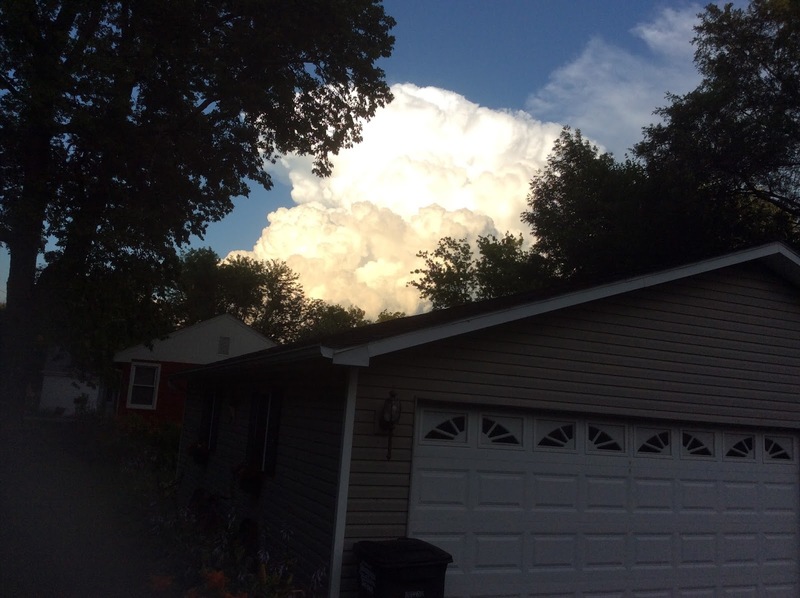 After a very wet June, the rain quieted down a bit for the month of July, and its been relatively dry across the Rockford area the past couple of weeks. That pattern will continue through the rest of the week will minimal rain chances through the weekend. After the cold front and rain this morning high pressure builds in and skies begin to clear. With high pressure in control the next couple of days, we will get a few days without any rain. There is a slight chance for a few showers later Friday evening with a weak cool front coming through, but with not a lot of forcing in the atmosphere it looks like we will stay dry. Another cool front moves through late Saturday into Sunday and could bring a better chance for rain, especially Sunday morning. Good news is the rain looks to move out pretty quickly on Sunday, so the day doesn't look to be a wash out. Either way, the next couple of days would be a good to maybe get the car washed and things outside taken care of. We will also have lower humidity as well! Enjoy! We've had some rainy stretches lately, but not so much the past two weeks. Now, over the weekend there were some areas that did receive a decent amount of rain. And the same holds true from earlier Tuesday morning. But in Rockford, we've recorded less than a tenth of an inch of rain since July 16th. On that day, over an inch and a half fell. We are in need of rain as the ground is starting to dry out with the hotter days we've experienced. 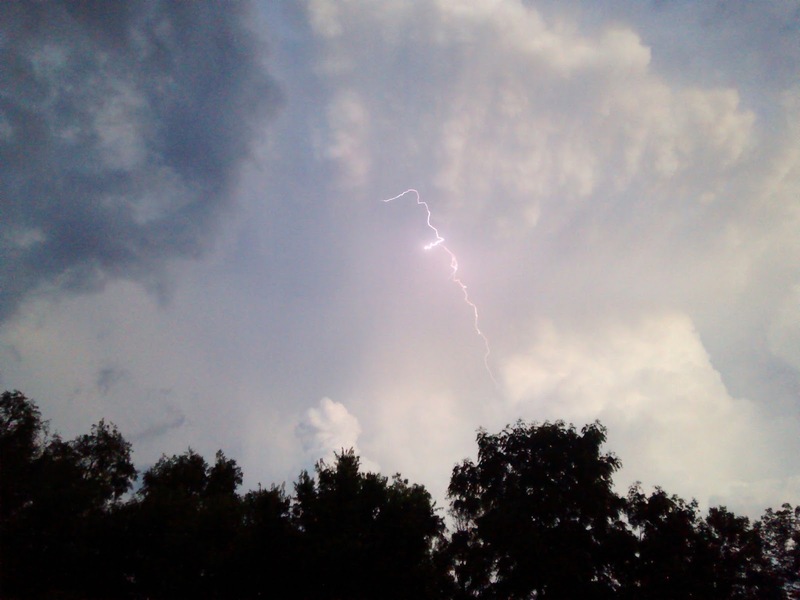 Thunderstorms are in the forecast tonight, and for some heavy downpours are likely. After tonight, skies will remain dry through at least the weekend. No Heat Relief, but More Comfortable! 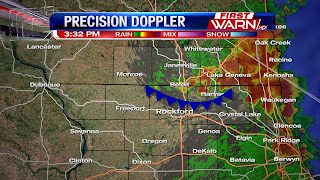 We're keeping an eye on an approaching cold front which will pass through the Stateline tomorrow morning. Will it bring cooler temperatures? Not this cold front! We'll still see temperatures remain in the mid-upper 80's across the area. Westerly winds will not tap into cool, Canadian air. This explains why we won't see a fall in air temperatures. However, dew points will drop just enough for it to feel much more comfortable than what it has felt like over the last couple of days. Today's dew points topped out in the lower 70's - moisture levels typical in the tropics! We're anticipating a few showers and storms associated with this front overnight into tomorrow morning. Dew points will drop throughout the afternoon and make for a much more pleasant Wednesday. The 'comfort' factor for the past week or so hasn't been all that great due to high dew point temperatures. A lot of this has been driven by the type of air mass that has been in place - very tropical and warm. But, the increase in dew point temperature can also be attributed to what's around us. And that's corn. 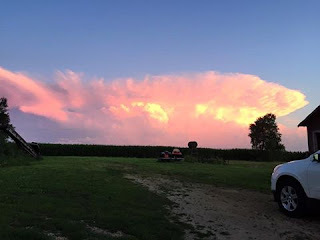 Believe it or not maturing corn can, and does, have a role in our weather. It's a process known as 'evapotranspiration'. And it's a combination of evaporation and transpiration. We all know what evaporation means - the process by which water changes from a liquid to a gas or vapor. But, we might not know what transpiration means. Transpiration is when moisture escapes through the plant's leaves and enters the atmosphere. Think of a plant stem as a giant wick that soaks up moisture from the soil with its roots. As it does, some of that moisture is then released back into the atmosphere. As the corn crop matures, or tassels, the area of the plant leave grows allowing more moisture to escape into the atmosphere. That added moisture to the atmosphere can cause dew point temperatures to rise. Something we typically see this time of year, especially in areas heavily surrounded by corn crops. Once the crop has reached its peak, the evapotranspiration rate isn't as high. A fun experiment to try would be to cover a plant with a plastic bag. Within and hour or two, you will notice moisture on the inside of the bag. That's transpiration. These next couple of days, dew points will be touching close to 70 degrees, or higher. That doesn't feel too comfortable when you step outside. While most of it will be driven by the air mass that's in place, the higher dew point readings are also caused by evapotranspiration. Many research projects have been conducted to try and understand this process, and to really gain an understanding of why this happens and how much of an impact it may actually have in the corn belt area. Here is an actual research paper/project from an old colleague of my from school. Differing types of vegetation along with soil characteristics could have an impact on evapotranspiration. With the recent hot and humid days, you've likely heard Meteorologists talk about the dew point temperature a lot. Dew point temperatures typically over 60 to 65 degrees makes the air feel uncomfortable, or sticky. Dew point temperatures over 70 degrees just feel down right miserable. I received an email the other night wondering why we don't talk about the relative humidity that much. After all, it does relate to humidity. And that's a good question: why do we stress so much about the dew point temperature? To understand why, we first need to explain what the difference is between dew point and relative humidity. Dew point is an absolute measure of how much water vapor is in the air. The dew point temperature will always be lower, or equal, to the air temperature. Relative humidity is a relative measure of how humid the air is, or, how close the air is to saturation. 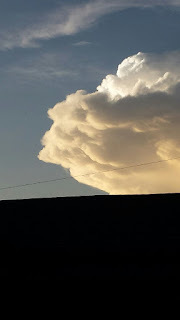 Relative humidity is expressed as a percentage, and is the ratio of the pressure of water vapor in a parcel of air relative to the saturation pressure of water vapor in that same parcel of air at a specific temperature. In simpler terms, a relative humidity close to, or at, 100 percent means the atmosphere is saturated and rain or clouds are likely. A dew point temperature at 65 degrees or higher means the air feels sticky, or humid. A dew point temperature less than 65 degrees may not feel as humid and people are able to tolerate it a little more. Relative humidity can be thought of as how close the air is to saturation. For example, in the early morning when the temperature is close to the dew point temperature, the relative humidity will be near 100%. But it may not feel humid outside because the dew point temperature is low. During the day, the temperature will rise with the heating of the sun. This causes a larger spread between the dew point and temperature, which can cause the relative humidity to decrease. In very warm and humid conditions, the dew point temperature can often times rise to 70 degrees or higher. 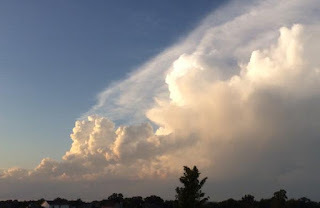 No matter how warm the temperature gets, a dew point temperature of 70 degrees will always represent the same amount of water vapor in the air in absolute terms, but the relative humidity will change throughout the day. This is why we use dew point temperature more so than relative humidity during the summer time because it is a better measure of how humid it feels. Clear skies, light winds and high pressure overhead could cause temperatures to drop into the upper 50's by Wednesday morning. The last time the temperature fell into the upper 50's in Rockford was back on the morning of July 15th. So, give the A/C a break tonight and open the windows. You may even be able to keep them open for Wednesday. We're a little over half way through the month of July, but we're already almost one inch above our monthly rainfall average. 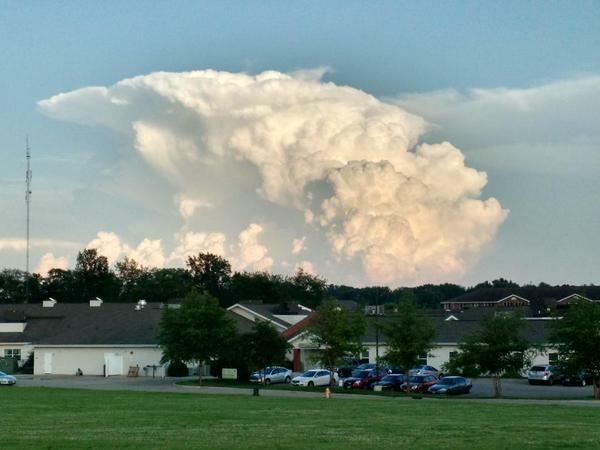 This month, along with last month, has had not shortage of those heavy summer downpours. But now we're entering into a stretch of dry weather that could last through the end of the week. 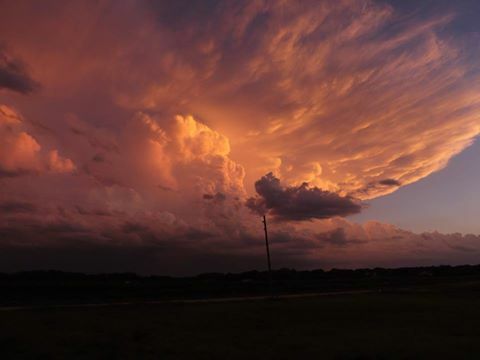 High pressure overhead will keep the majority of storm systems bypassing the Stateline as the heat builds across the central and southern Plains. Surface winds will shift around to the southwest Wednesday, pulling in a little more moisture. 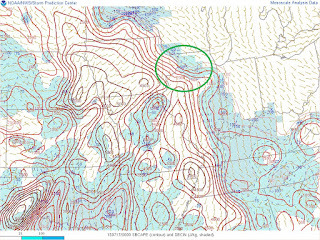 However, the air mass at the surface and a few thousand feet above remains dry. So, even though a weak upper level disturbance moves in late Wednesday night, most of us should stay dry. The next chance for measurable rainfall will come as early as Friday night, but may hold off until early Saturday morning. A developing storm complex along a cold front Friday night could move close enough by Saturday morning to once again bring heavy rain producing thunderstorms. Something we'll watch closely as we head near the weekend. Rainy Start, Relief on the Way. 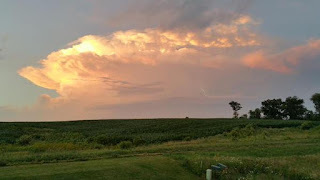 It was a hot, humid, and stormy weekend across the Stateline with severe thunderstorms Friday and Saturday and heat index values just shy of 110.° Thankfully we will get a break from the humidity and the rain after we get through Monday. Humidity is increasing as dew points rise into the upper 60's and low 70's ahead of our next cold front. This is giving us another humid day with some heavy downpours possible in any showers/storms we see. Showers and storms will fire up out ahead of an approaching cold front as early as the early afternoon, however better timing looks to be with the passage of the cold front later in the afternoon. Temperatures today will top out near 85° under thickening cloud cover, and with dew points in the 60's and 70's this will bring some heavier downpours in any showers or storms we see. The good news is, high pressure builds in on Tuesday and winds shift around to the northwest. This will bring in cooler and drier air, as well as more sunshine. You don't have to worry about the rain for the majority of the week, next chance looks be to late Friday evening, however better timing arrives Saturday. Temperatures will stay in the low 80's this week but warm back into the upper 80's with an increase in humidity as we go into the weekend. The heaviest rain stays to the south and west of us this week. The southern plains look to get a good 2-3 inches of rain along a stalled boundary, and southern California is setting record rainfall amounts with the remnants of Tropical Storm Dolores bringing heavy rain to typically southern California's driest month. 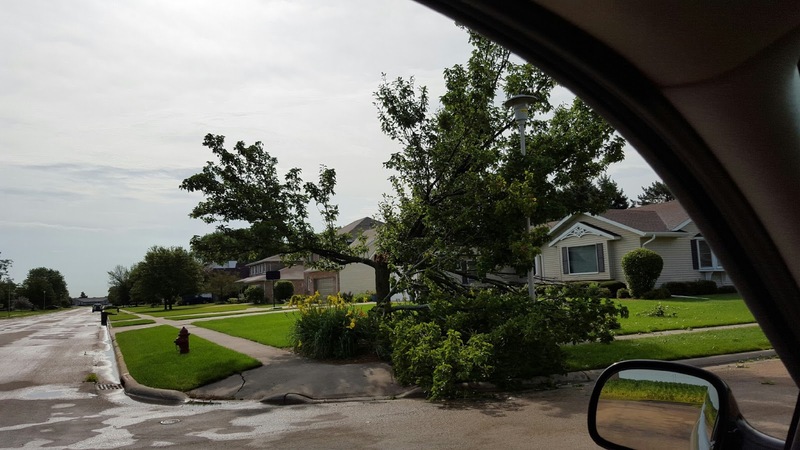 The Milwaukee National Weather Service was out Sunday conducting damage surveys from severe storms that moved through southern Wisconsin early Saturday afternoon. 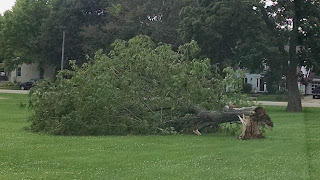 While there were numerous reports of straight-lined wind damage, it was found that a tornado did cause some of the damage reported in east-central Rock and west-central Walworth counties between 2:40pm and 2:50pm. 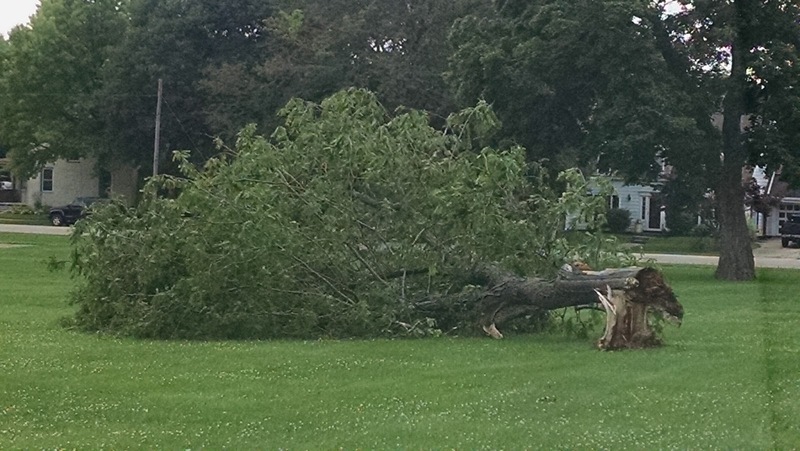 Meteorologists confirmed than an EF-1 tornado, with winds up to 100 mph, touched down between Janesville and Elkhorn. 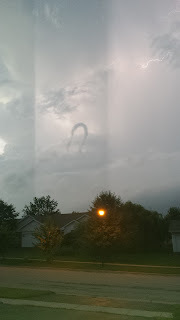 The width of the tornado was about 50 yards, with a path length of 5 miles. Click here for the full report, including damage pictures and radar images, from Saturday afternoon. 5:33 UPDATE: Tornado Watch cancelled for the rest of northern Illinois. 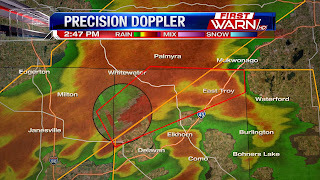 4:27pm UPDATE: Tornado Watch Cancelled for Walworth county in southern Wisconsin. 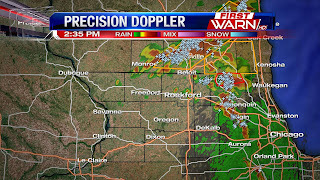 3:54 UPDATE: The Tornado Watch for portions of the Stateline have been cancelled including: Jo Daviess, Whiteside, Stephenson, Carroll, Green, and Rock counties. Tornado Watch continues for Walworth, Winnebago, Boone, McHenry, Ogle, Lee, and DeKalb counties until 10pm. UPDATE: Storms that moved through southern Wisconsin earlier have produced an outflow boundary, we could see additional storms fire up around this, this afternoon. 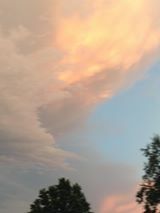 All tornado warnings have now expired. TORNADO WARNING: for Mchenry county until 3:00pm for storm located over Harvard, IL. 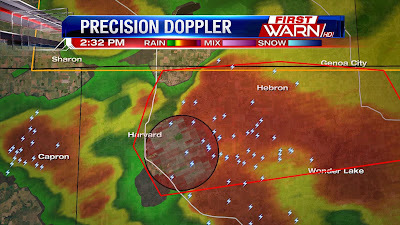 (2:30:31 PM) nwsbot: LOT continues Tornado Warning [tornado: RADAR INDICATED, hail: 1.00 IN] for McHenry [IL] till 3:00 PM CDT ...AT 230 PM CDT...A SEVERE THUNDERSTORM CAPABLE OF PRODUCING A TORNADO WAS LOCATED NEAR HARVARD...MOVING EAST AT 30 MPH. 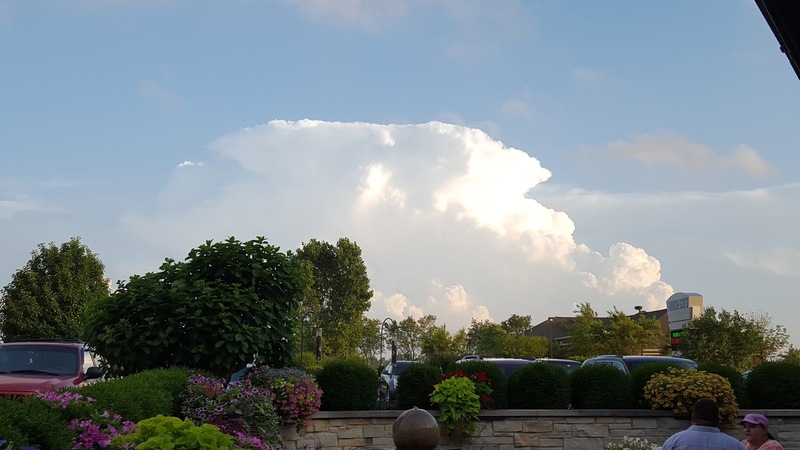 With the heating of the day Friday afternoon, thunderstorms quickly developed near the Wisconsin/Illinois border near a stationary front. Those storms did turn severe for a time with pea, up to quarter sized, hail being reported, gusty winds and extremely heavy rainfall. Storms today also produced a significant amount of rainfall in a short amount of time, causing flash flooding. 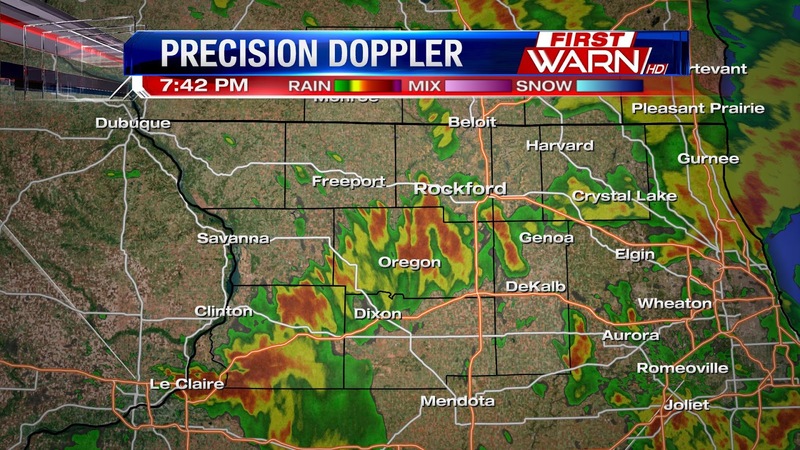 And for that, a Flash Flood Warning has been issued for Winnebago and Boone counties until 10:30pm. Any additional rainfall is not anticipated this evening. There will be two main issues of concern heading into the rest of the weekend. 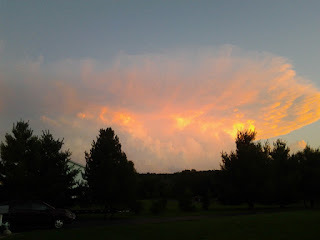 The first will be the heat, and second will be additional thunderstorms. High dew point readings Friday afternoon in the mid and upper 70's is what aided in the torrential downpours. Those numbers are expected to occur again on Saturday, with temperatures rising into the low 90's. 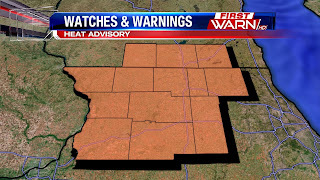 Because of that, a Heat Advisory has been issued for Northern Illinois and Southern Wisconsin with potential heat index values nearing 105° to 109°. Storms out west Friday evening will slide, for the most part, northwest of the immediate area by Saturday morning. Additional thunderstorms will develop mid-day across the Upper Midwest along a cold front. As the front slides southeast into Wisconsin and Illinois Saturday evening and night, the storm threat will increase through Sunday morning. Most of the Upper Midwest and Great Lakes has been placed under a Slight Risk for severe weather. Our storm coverage will increase as the day progresses. 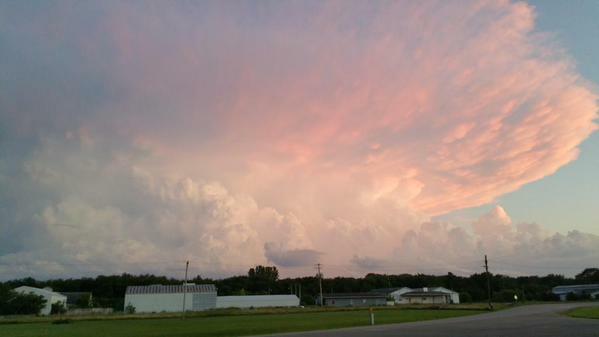 Scattered thunderstorms will continue Sunday, with again, the risk for stronger storms during the afternoon. 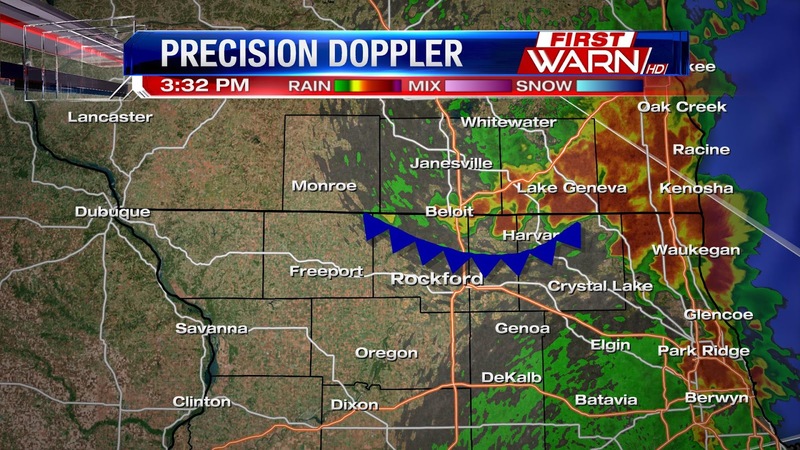 This looks to occur mainly south of Rockford, but should the front stall for a time, our severe threat could go up. While severe weather is going to be a concern both days, any thunderstorms that do develop are going to produce very high rainfall amounts. So, flash flooding is a big concern going into the weekend in areas that have already experienced flooding issues. We're into the dog days of summer, and temperatures this weekend will be the warmest we've seen this year. Add that with high humidity and you get a high heat index. Temperatures today will climb to near 90° and with dew points in the 'oppressive' category it will 'feel like' temperatures. This will be the trend this weekend, as our dew points are already in the low to mid 70's! By Saturday high temperatures warm to about 94° with heat index values near 105°! A cold front passes on late Saturday into early Sunday and that will drop temperatures back into the mid and upper 80's. 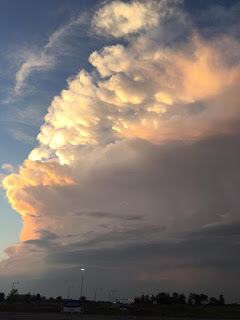 There are storms chances over the weekend, and the rain and the cloud cover could keep us on the lower side in terms in temperatures, but either way I figured it would be a good time to bring up some heat safety tips! One important reminder is car and heat safety. Make sure to never leave anyone, especially children, inside a car. Children's core body temperature warms much more quickly than adults do so they are even more susceptible to over heating and getting heat stroke. If the temperature outside is 90° the temperature in the car can rise to 120°-150° in just minutes! Also make sure to prepare for being outside by dressing appropriately and wearing light clothes, drink plenty of water, avoiding getting sunburn, and stay in the air conditioning if you can. Heat index values this weekend will be on the dangerous side! 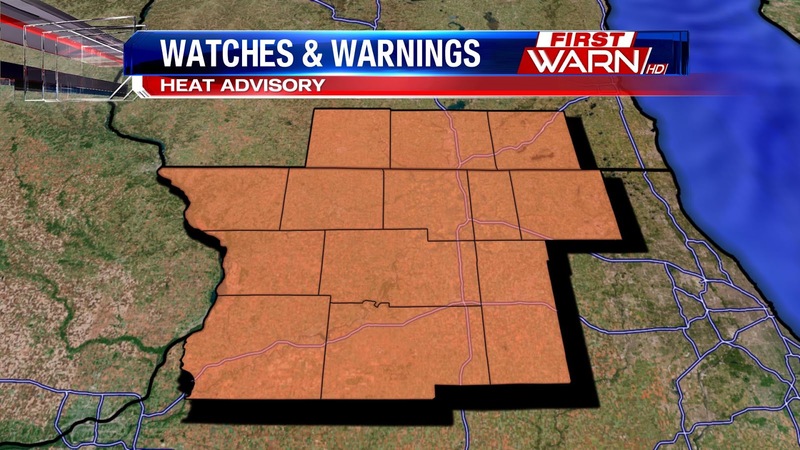 So far there is only one heat advisory out, that is for Whiteside County, IL and lasts until 7pm on Saturday. (9:51:05 PM) nwsbot: Local Storm Report by NWS LOT: Kingston [Dekalb Co, IL] trained spotter reports FLOOD at 09:40 PM CDT -- glidden road south of hill road. 2 to 3 inches of standing water. Just In: Urban and Small Stream Flood Advisory for Northern DeKalb, Boone, McHenry, Northeastern Ogle, and Southeastern Winnebago County until 3:30am. 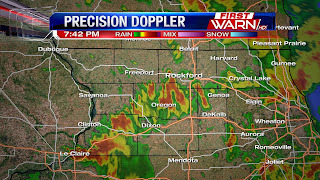 Doppler radar indicated heavy rain fell in that area due to thunderstorms, causing small stream and urban flooding. Between two and three inches of rain has fallen in those area. (8:25:46 PM) nwsbot: Local Storm Report by NWS DVN: NW Erie [Whiteside Co, IL] trained spotter reports HEAVY RAIN of E1.95 INCH at 08:00 PM CDT -- 1.95 rain total in less than 3 hours. A Flash Flood Warning for Whiteside Co. is in effect until 11:30PM. Two inches and more of rain has already fallen over the past two hours. Flash Flooding is expected to begin shortly. 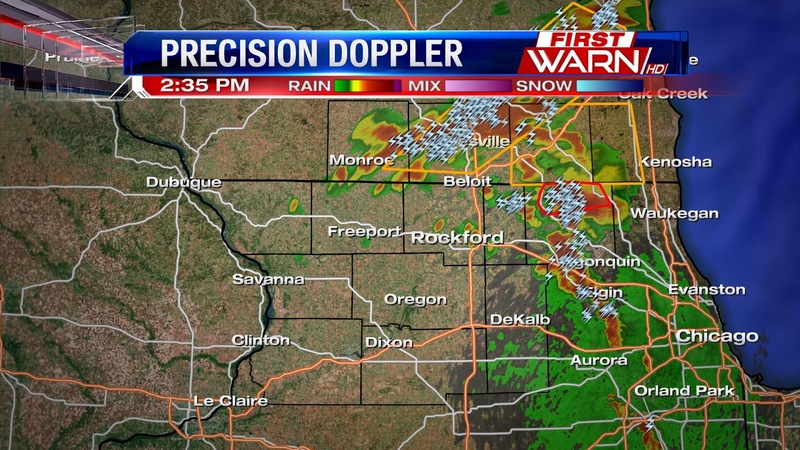 Thursday evening brought some intense thunderstorms to the Stateline! 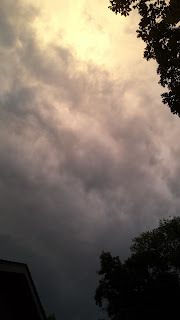 Most of the activity we saw included periods of heavy rain and some high wind gusts. 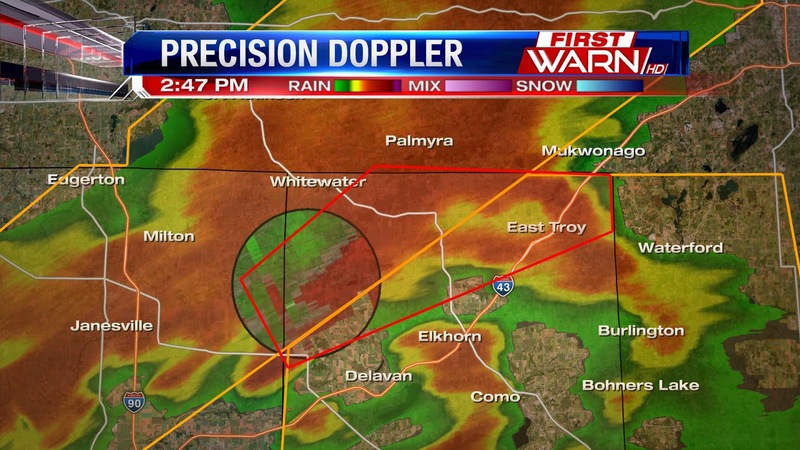 One storm over SW Whiteside county was even put under a tornado warning after radar indicated broad rotation with the storm. 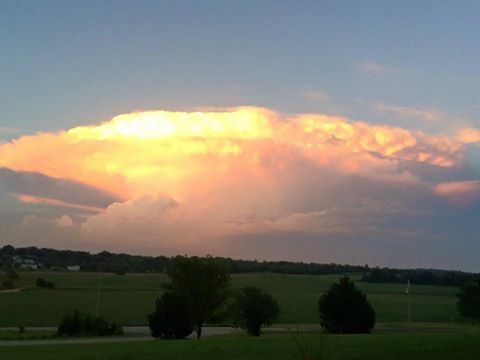 That warning has since been cancelled due to the fact that the storm fell below severe limits. It was no longer capable of producing a tornado. 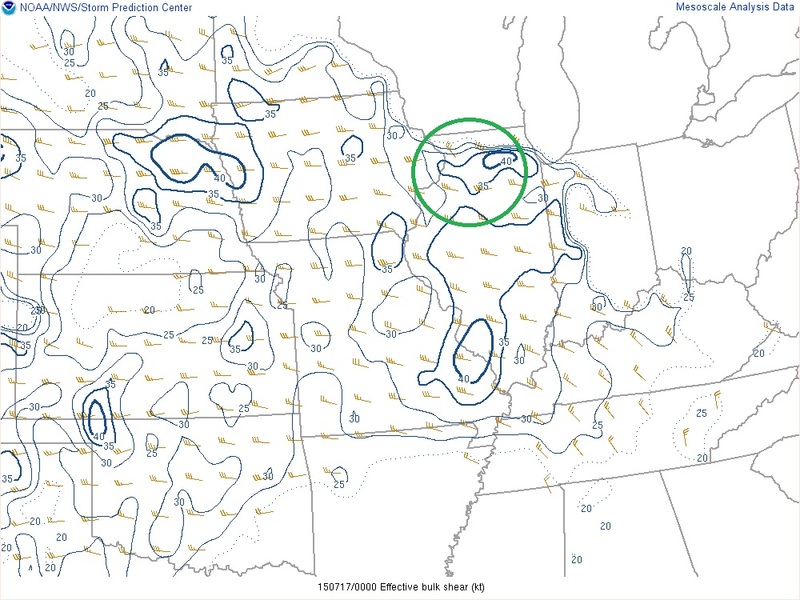 The atmosphere over the Stateline is much more stable than what is over central Illinois at this hour. CAPE (Convective Available Potential Energy - a measurement of atmospheric instability) in our area is below 500 joules per kilogram which is not enough to sustain a severe thunderstorm. This explains why the storm over Whiteside Co. weakened. It is interesting to note how high shear values are over the Stateline (30-40kts). 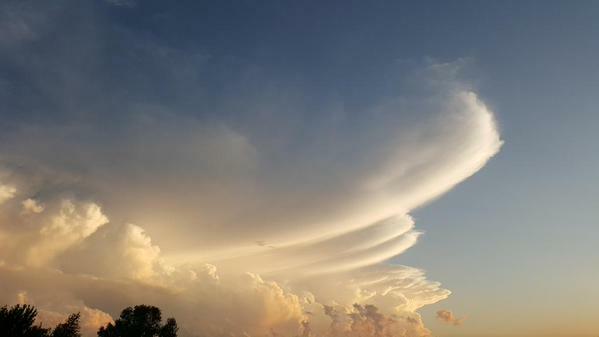 The change in direction and speed of the wind with height explains why the Whiteside Co. storm was able to rotate. 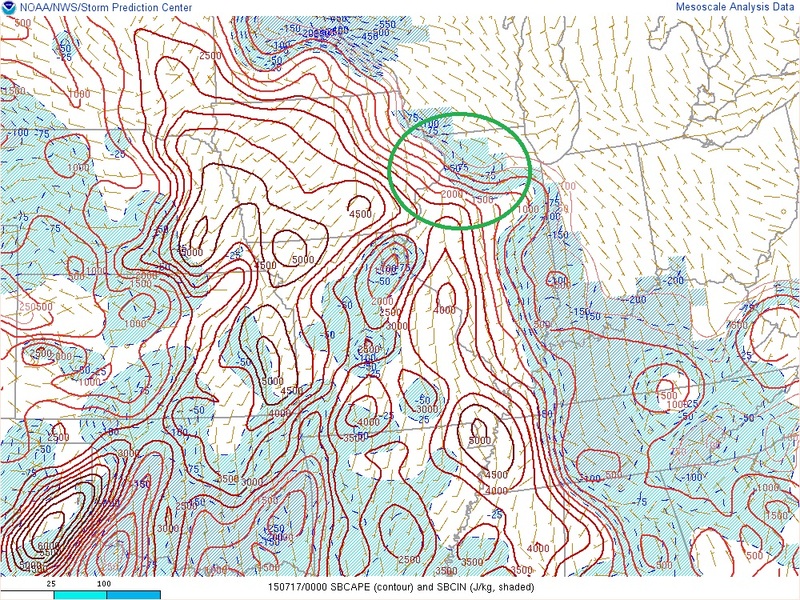 Since instability in the region is not conducive for severe storms, we are not expecting shear or any parameter to encourage further severe weather development. Bottom Line: Keep an eye out for heavy rain and gusty winds as we head for the overnight hours. These storms will diminish over the next few hours as the region gives way to nighttime cooling. We're expecting some heat on the way here around the Stateline! This weekend's heat indices could reach above the 100° mark. 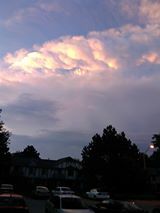 This is all due to a passing warm front which has brought much of the stormy weather we are seeing this evening. Just how hot could it get? Well that depends on how much and when we see precipitation. 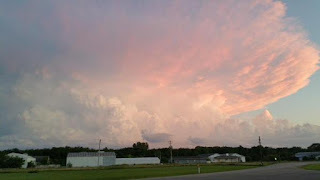 Cloudy skies and storm bursts will bring down the temperatures while breaks of sun could bring us into the 90's. Regardless of where we wind up, you should definitely keep the heat and humidity factored into your weekend plans! The latest outlook regarding the El Niño has been released from NOAA! For those who don't know what El Niño is, it's an observed global weather event in the southern Pacific Ocean off the coast of South America. Above average water temperatures in this region indicate the presence of El Niño. So how does water temperature affect the weather here in the United States? Well, for starters it can influence our precipitation and temperatures. The best known effects of El Niño were seen during the Winter of 1997-1998. This winter was the second warmest and seventh wettest on record since 1895! What about this upcoming Winter? Since El Niño is not forecasted to be as intense as during the winter of '97-'98, we can't predict drastic flooding or extreme weather throughout the country. However, NOAA has released its three month winter outlook and the effects of this anomaly can be seen quite clearly. The Stateline can expect a 30% chance of above average temps for the Winter months. In addition, we'll stay drier - as will much of the Great Lakes region. Less snow and rain? Sounds like it's too good to be true! It'll be interesting to see how that pans out! Among the most notable effects from this year's El Niño are the higher chances for above average precipitation reaching across the southern contiguous United States. This region will be much cooler while the Pacific Northwest will be the most likely to see above average temperatures. 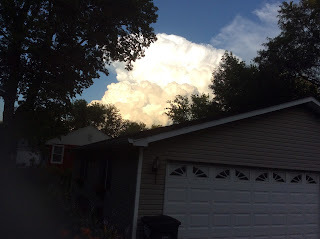 Yup, there's a lot of storm pictures! Your storm photos from Monday!